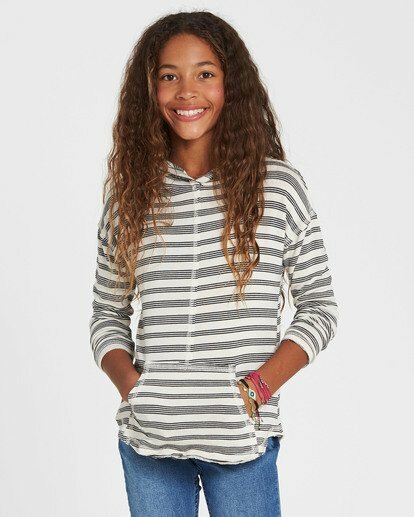 A go-to layer for the line-up, the These Days offers a lightweight update to the everyday hoodie. 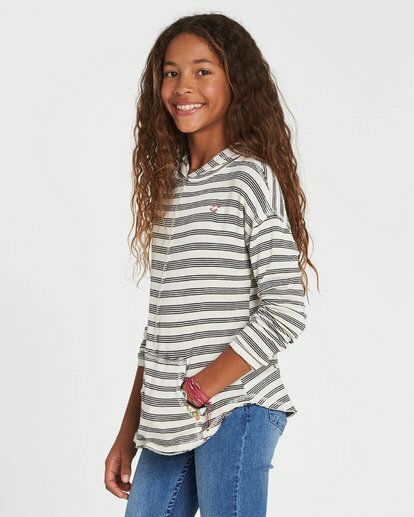 Made from a soft knit, the girls hooded long sleeve tee features a yarn dye stripe throughout, pouch pocket and embroidery at the chest. Heart logo embroidery at chest.